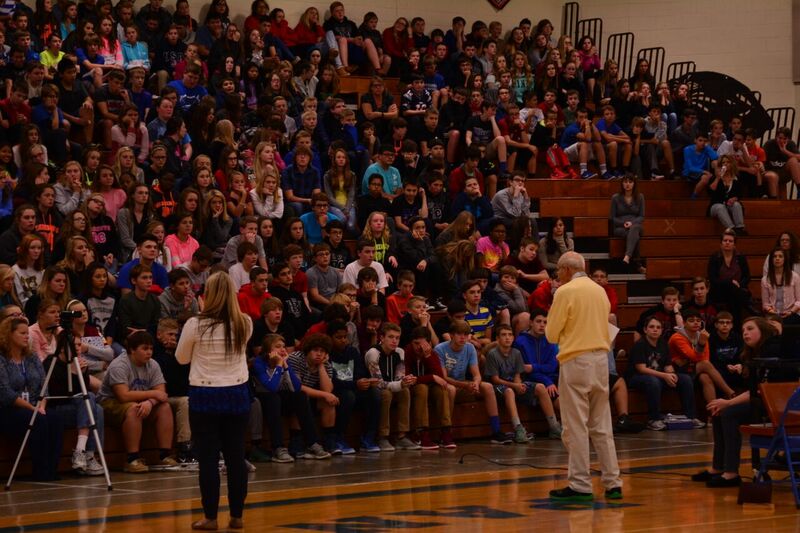 Al Miller has spoken to over 3,000 people about the Holocaust just this past year. He hopes “the kids, particularly” take away something from his teaching. 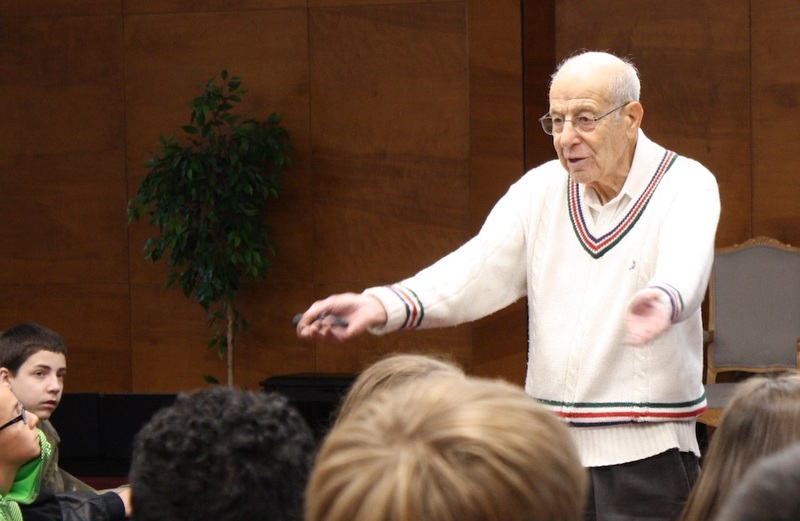 Holocaust survivor Al Miller speaks on the Holocaust to more people than any other member of the HHC’s Coppel Speakers’ Bureau. I think your words will stick with me for the rest of my remaining life. When you said “Treat others how you want to be treated,” it really hit me. When you said it from your perspective it felt like bolts of electricity running through my body. 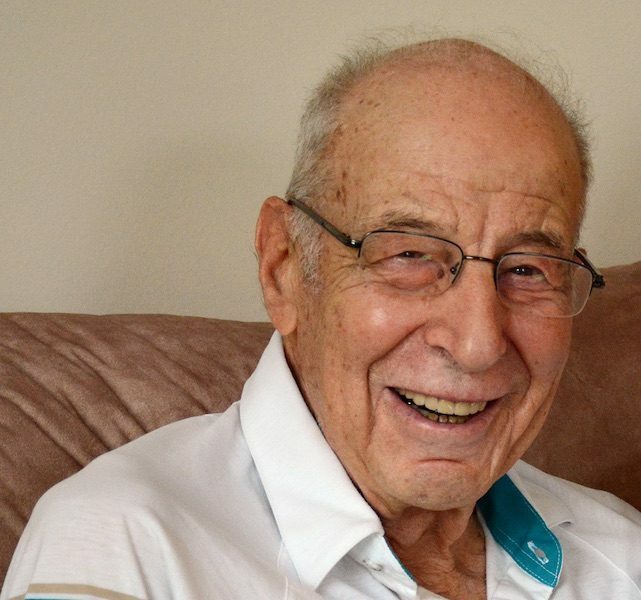 In the last year, according to the Nancy & David Wolf Holocaust & Humanity Center, Holocaust survivor Dr. Al Miller has spoken to 3,080 people about the lessons he has learned as a Holocaust survivor, more than any other speaker working with the HHC. He has been sharing his story around Cincinnati, in classrooms and at programs and events, for the last two decades. Dr. Miller shares one example of talking with students about their own values by discussing the Pledge of Allegiance: “I say: You are already promising to be fair to people. Chances are that you promised it this morning. They don’t know what I’m talking about. So I tell them: you stood up, you put your hand over your heart, and you said in unison “with liberty and justice for all.” Did you listen to what you were saying, or did you just rattle it right off because you do it every day? What do you mean by liberty? Well, they always say, well that means freedom. And I say that’s exactly right. The freedom that you want for yourself, you’re promising to allow that to all. What is justice— justice is fairness; if you are fair to all, meaning you treat everybody the same, that’s being just. Now, who is “all.” “All” means everybody who you will come in contact with through your whole life. The people you meet, you want to pledge to them, liberty and justice, for all!” He laughs because of his own vehemence. Dr. Miller began this work “almost by accident,” at 72 years old, but now, at 96, he thrives on it: “I thought I could help,” he says. His first-person, slightly accented storytelling clearly affects the students. When asked if he’s proud of his two decades of Holocaust education work, Dr. Miller says that “proud” is not the right word, but that rather he gets “a feeling of satisfaction” from the work. “I can’t say really why, it’s not a clear-cut reason. I feel I really want to do and have to do it.” He laughs, “When I go three to four days without a speech now, I call them and say what’s going on! ?” His endurance is impressive, and not only in teaching: Dr. Miller still regularly walks in 5k races, and has a shelf full of trophies for winning in his age category. He lives in Mason with his wife Janie. They have three sons, eight grandchildren, and one great-grandchild. 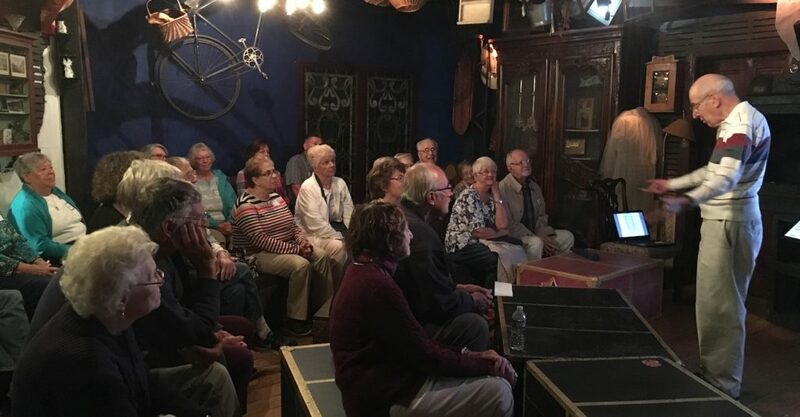 Donors to the Jewish Federation support Dr. Miller’s teaching on the Holocaust through their support of the Coppel Speakers’ Bureau at the HHC, which currently coordinates the talks of 16 speakers.